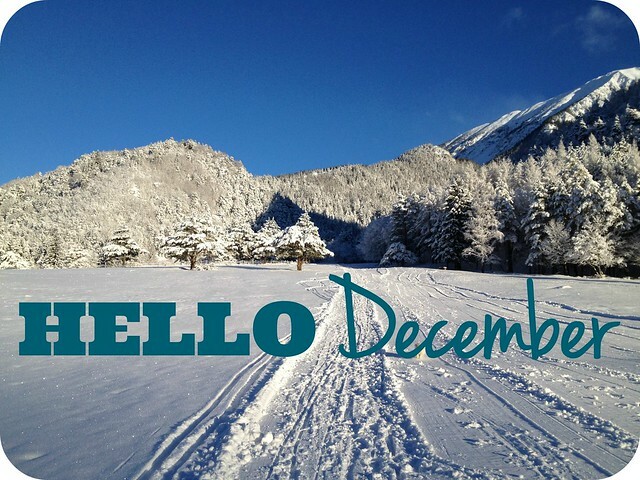 The Indigo Hours | Beauty & Lifestyle: Hello December! Well, folks, here we are - the twelfth and final month of 2015 is now underway! I'm really not sure how I feel about this, to be honest; I think we're probably past the point where I can pretend Christmas isn't just around the corner, and it's time to start thinking about New Year's Resolutions and suchlike. But let's not get ahead of ourselves; there's still a whole month of 2015 to enjoy! • Renew gym membership & keep going regularly: I'm giving this one a big fat tick as I've been swimming three or four times a week in November, which I'm pretty pleased with! It's been an effort sometimes to drag myself out of bed while it's still dark outside and it's so cosy under my duvet, but I almost always feel better for a nice swim to wake me up, and it's nice seeing my fitness improve as I stick with it. • Start Christmas shopping: I started. I did. I bought one gift on a total whim while I was in Asda towards the start of the month, then promptly forgot about it until the weekend just gone, when I actually had my annual Christmas shopping weekend (a little earlier than usual, admittedly) with my best friend; we went to York on the Saturday then visited my brother in Leeds on the Saturday night, which was lovely. So, yes, I've started my Christmas shopping! • Have a clothing clear-out: I've definitely thrown away a couple of socks with holes in... I have also taken two bags of stuff to the charity shop, including a few tops, dresses, cardigans and bags, so I'm considering this one completed. It was actually harder than anticipated to choose items to lose, apparently I get weird sentimental attachments to clothes. Right then... I am appreciating the extra space in my wardrobe though - I can now remove one hanger without six more coming out attached to it, which is a bit of a novelty! • Have a general clear-out: I've thrown away a lot of packaging. Like, so many empty Birchboxes and the like. Why do I keep them? What do I think I might be going to do with them? It's a mystery! They've gone, now, anyway, which is quite satisfying. I'm calling that four out of four for November! I've found December a tricky month to set goals for to be honest, as there's such a lot going on as it is... I don't want to commit to things that I'm going to struggle to achieve, I'd like to finish the year on a high note! So these goals are really things I'd probably be doing anyway. But there we are. • Bake: I haven't been baking anywhere near as often since moving back in with my parents last summer and I really miss it; it's definitely a favourite pastime for me and something I find really enjoyable and relaxing. Christmas is an easy time to bake and I'm intending to at the very least make the mince pies! • Throw more things away: I still have a lot of stuff and I'm quite sure I can stand to lose a lot of it. I think the run-up to Christmas is a great time to reassess my possessions and streamline a little; I'm really trying to think about what I actually want/need to keep, and what I'm hanging onto for the sake of it. I'm going to stick with just the two goals, I don't see any point in setting goals just for the sake of it, and as I said there's going to be enough going on as it is without me trying to achieve things just so I can tick them off. Are you setting yourself any goals this month? Do you have any tips for streamlining your belongings? I'm not a big fan of resolutions but I'm pretty good in cleaning the closet.